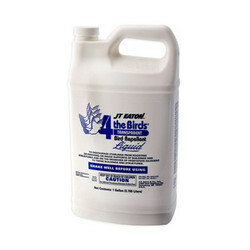 Our product range includes a wide range of bird proof gel and 4 the birds repellent liquid. 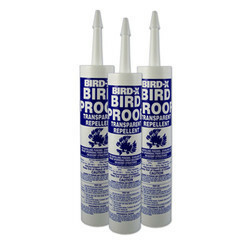 Bird Proof Gel is a non-toxic, tacky bird repellent gel used on ledges sills, beams, rafters, signs, statues and hundreds of other outdoor surfaces to prevent pest birds from roosting. The gel does not harm birds it simply makes surfaces uncomfortable, intimidating and uninviting. Keep pest birds from roosting or landing on any surface. A transparent, sticky product that remains tacky after application has set For House Sparrows, Sea Gulls (including Ring-Billed, California and Herring), Blackbirds (including Brewer’s Cowbirds, and Grackles), Crows (common), and Ravens.